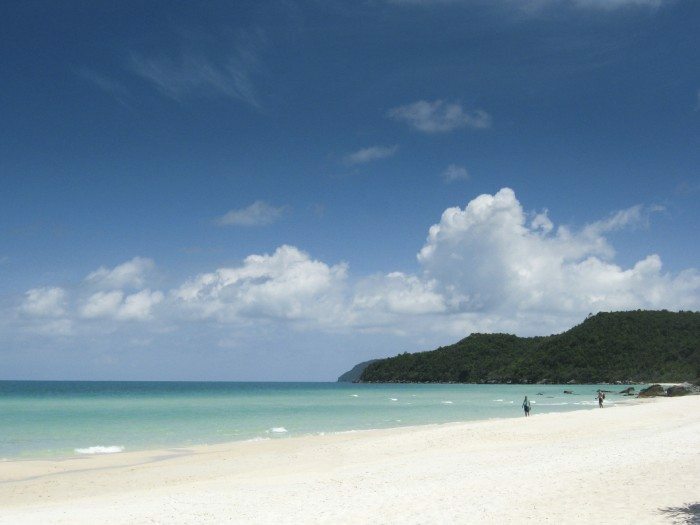 With a coastline of 3,260 kilometres, excluding islands, Vietnam has many, many beaches to explore. 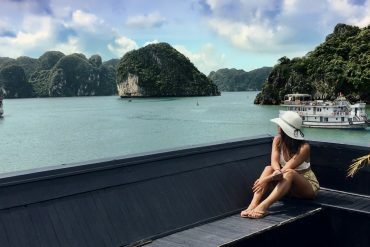 While Vietnam’s beaches might not be as well known or as sparkly as many in Thailand, add in the perk of well priced food and alcohol and resorts being often cheaper than those comparable in Thailand, Vietnam is quickly attracting more visitors every year. 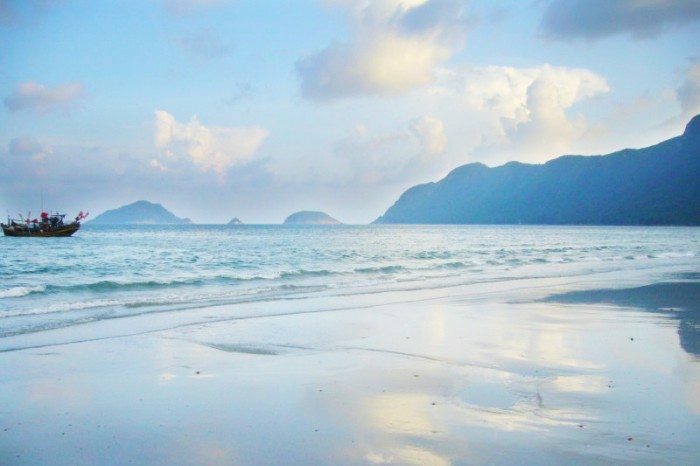 Here are eight of Vietnam’s best beaches and beach towns to consider for your next vacation. The InterContinental Danang Sun Peninsula Resort is located in the hills of the Son Tra Peninsula nature reserve and offers fantastic views of the East Sea. This 200-room resort was designed by renowned architect Bill Bensley, and its restaurant La Maison 1888—part of CNN’s World’s Best New Restaurants 2016—is headed by Michelin-starred chef Pierre Gagnaire. The InterContinental’s spa, HARNN Heritage Spa, has won multiple awards including Best Luxury Resort Spa and Vietnam’s Best Hotel Spa by the World Luxury Spa Awards, and is home to Bastien Gonzalez, the world’s most sought-after pedicurist. So, basically, if you love beauty, incredible food, and world-class pedicures, book a room here. Con Son is the largest island of the Con Dao archipelago. 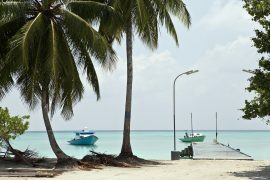 It’s ringed with white sand beaches, turquoise water, coral reefs, and beautiful bays, and it’s partially covered by dense forests. However, it remains surprisingly unfrequented by tourists and as such it’s not hard to find a deserted beach here. Visitors can also go hiking, diving, and wildlife-watching; some of its animal inhabitants include dugongs, sea turtles, black giant squirrels, and bow-fingered geckos. A 45-minute flight from Ho Chi Minh, the Six Senses Con Dao is accessible but still isolated enough to feel like a true getaway from the outside world. This award-winning, 5-star resort has ocean-view and ocean-front suites and villas; some have multiple bedrooms and all have a private pool. The spa offers multiple treatments as well as yogic, Ayurvedic, and wellness programs. Situated in central Vietnam along the Perfume River, Hue is known for its historical monuments, some of which are UNESCO World Heritage Sites. It’s also just a few kilometers inland from the sea and there are some beautiful beaches nearby. Thuan An is 14 kilometers from Hue and is considered one of Central Vietnam’s most beautiful beaches, although it’s still very undeveloped. Visitors can pay 10,000 VND to rent a beach umbrella and chair for the day. For accommodation, consider the Banyan Tree Lang Co, which only offers pool villas. It also boasts an 18-hole Sir Nick Faldo-designed golf course, a range of sea sports, beachfront dining, an award-winning spa, and other 5-star amenities. Mui Ne is located in southeastern Vietnam along the South China sea. It was once a relatively desolated stretch of beach but alas, as often happens, loads of tourists and beach resorts have descended upon its shores. Mui Ne is a windy place and as such it attracts a lot of windsurfers and kite surfers; kite surfing has become especially popular here. 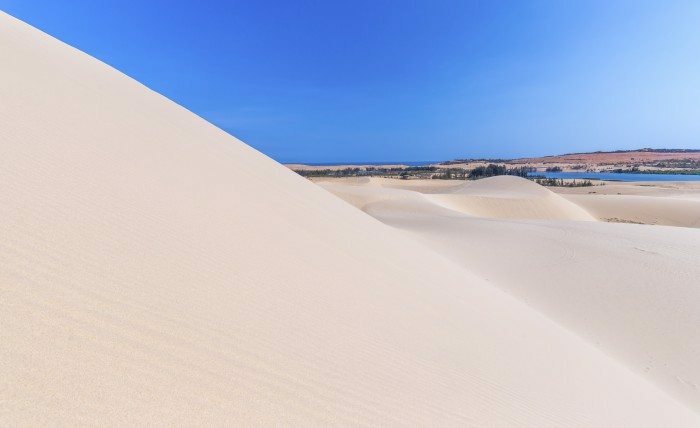 The wind is also responsible for Mui Ne’s enormous red and white sand dunes that the area is famous for. For a dose of luxury on Mui Ne, consider staying at Anantara Mui Ne. This 5-star resort sits on a pristine stretch of beach and offers 89 rooms, suites, and pool villas, along with a pool and poolside bar, spa, water sports and activities, multiple restaurants, a private wine cellar, and more. 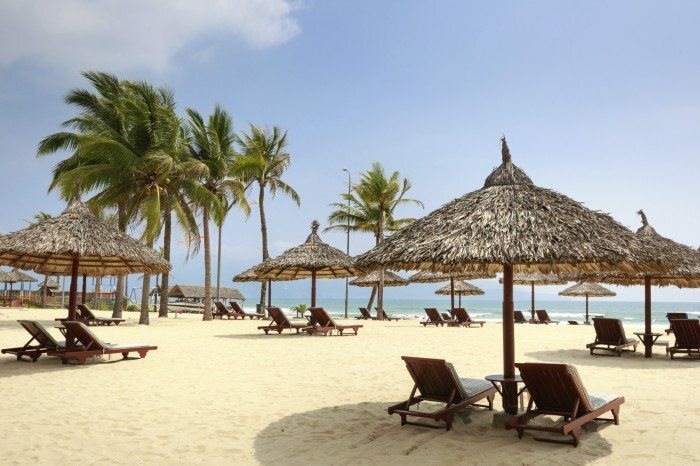 Phu Quoc is an up and coming vacation island near the coast of Cambodia. It is mountainous and densely forested and has some beautiful beaches. It also has the best seafood in Vietnam, and supposedly the best fish sauce (nuoc mam) in the world. While the beaches are beautiful, many of Phu Quoc’s beaches are littered with plastic waste. The cleaner beaches are the ones outside of hotels that are cleaned once or twice a day by the hotel staff. Check out Sao Beach, one of the most beautiful beaches on Phu Quoc; it’s located at the southeastern corner of the island. Novotel Phu Quoc offers a resort experience with views of turquoise waters, lush vegetation and a wide-range of hotel amenities, eco-tourism activities and attractions for guests of all ages. The resort is located near Duong Dong town and close to many of the island’s top attractions, such as Sao beach, Ham Ninh fishing village and various pearl farms. As Vietnam’s most famous seaside resort town, Nha Trang is more developed and livelier than Mui Ne and Phu Quoc. Like Phu Quoc, the beaches are often littered, and the water in Nha Trang can be polluted, as well. There are some good beaches near Nha Trang, however, including Doc Let Beach, which is about 50 kilometers north of Nha Trang and cleaner and more beautiful in comparison. 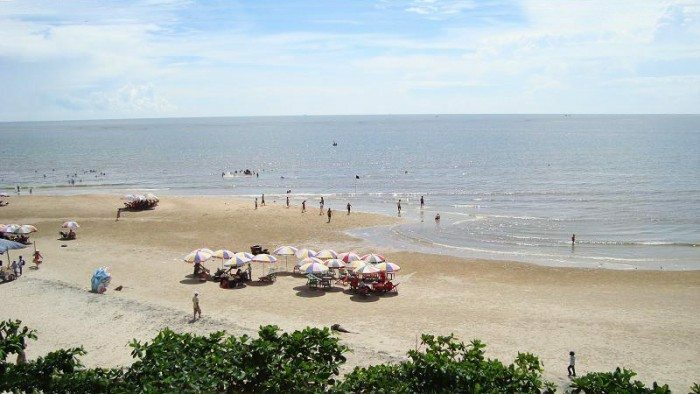 Other beaches to check out include Bai Dai and Bai Duong. Amiana Resort offers direct access to the beach while being a few kilometres out of the main are of Nha Trang. Spend the day catching rays at the resort’s private beach or one of the resort’s 2 outdoor swimming pools. All 113 rooms boast deep soaking tubs, free WiFi and balconies. 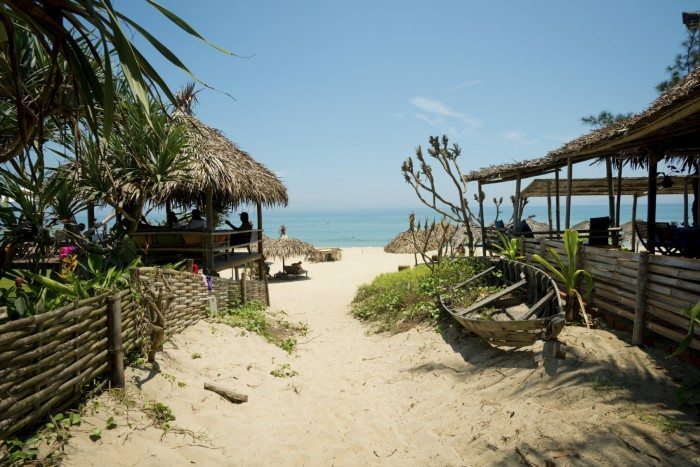 Travelers to Hoi An should head to An Bang beach, which is located about four kilometers from Hoi An town. An Bang has soft white sand and clean water, and there are many restaurants along the beach which allow visitors to use their sun loungers and umbrellas if they buy a drink or food. 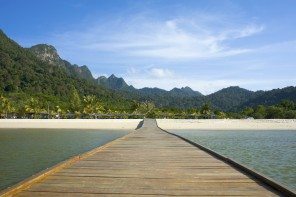 There is plenty of midrange accommodation in An Bang, but if you’re looking for something extra special, consider The Nam Hai which is a few kilometres away on Ha My Beach. The all villa accommodation is made up of 100 private retreats elegantly finished with Vietnamese lacquer and lavish bathrooms that open out onto private tropical gardens with outdoor rain showers. Each are served by a butler. 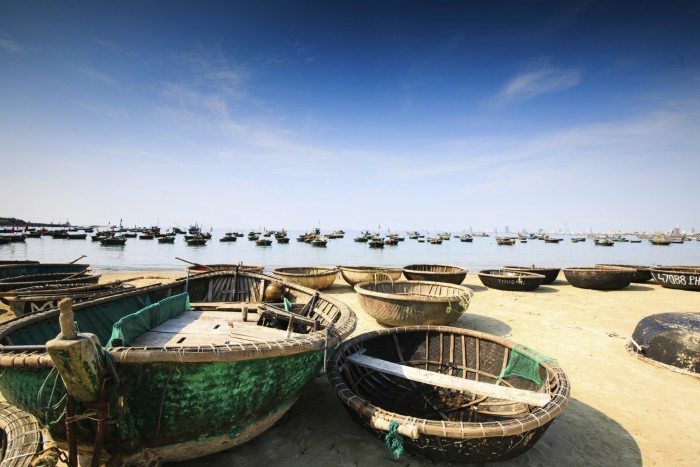 Long Hai is a small seaside retreat 40 kilometers from Vung Tao, a larger and livelier seaside resort town. 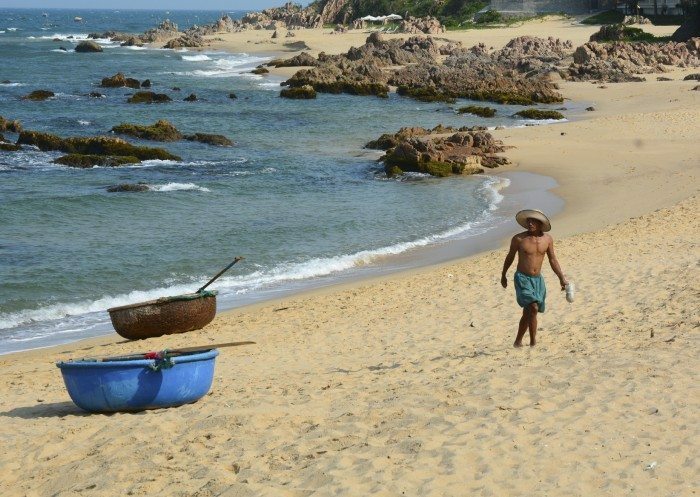 During the week, Long Hai has the pace of a small Vietnamese seaside village, and it’s possible to find yourself on what seems like your own private beach; on the weekends, however, its beaches attract heaps of visitors, particularly Vietnamese tourists. Due to a microclimate the area receives less rain than other regions in the south, and because of this the last emperor of Vietnam, Bao Dai, built a private residence here. This residence is now the Alma Oasis Long Hai Resort. Just 90 minutes from Ho Chi Minh, the Alma Oasis Long Hai Resort is a great option for those looking for a relaxing weekend away from the big city. The resort offers modern rooms and villas, and it also has a lovely pool, beachside restaurant, two bars, a spa and wellness center, private beach, and a wonderful staff.